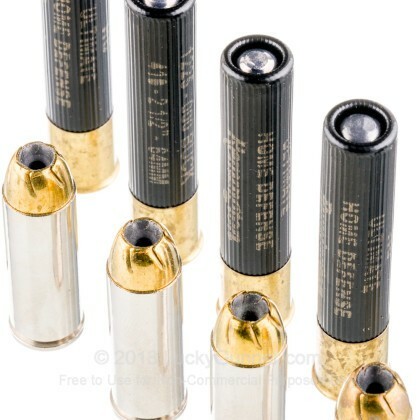 Looking for high-performance self-defense ammunition? 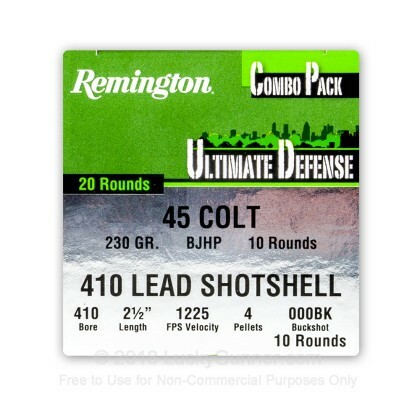 Remington has you covered in any scenario, with their 410 Bore/45 Colt Combo Pack! 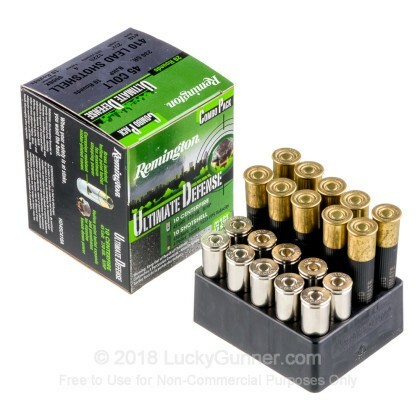 Remington's .410 Ultimate Defense line provides a powerful 2 1/2" shell, loaded with four 000 pellets of hard hitting buckshot. 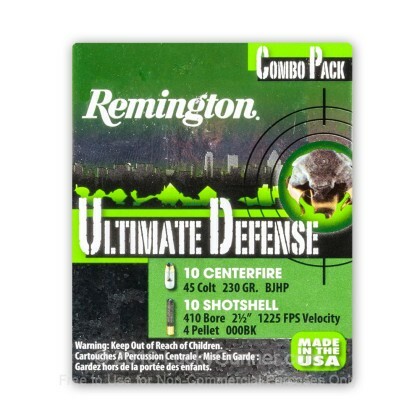 This is paired with the massive 230 Grain Bonded Hollow Point bullet of Remington's Ultimate Defense 45 Colt Round. Together, these two loads provide the ultimate 1-2 punch home defense solution! 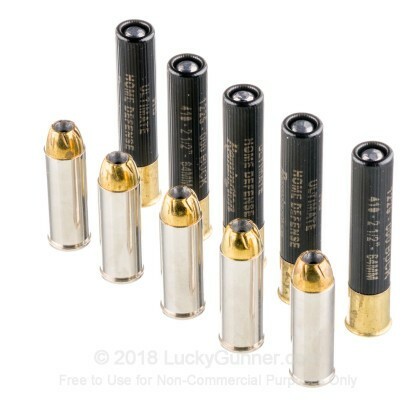 A: Hello James, The .45 LC rounds would work in a firearm that is chambered in .45 LC. 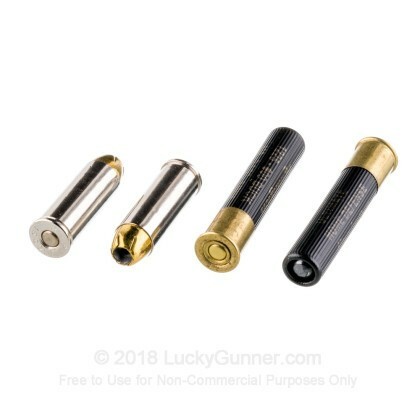 This combo pack is mainly for those who have a firearm like a Taurus Judge that can fire both the 410ga. shells and the .45 LC rounds. You cannot fire .45 LC rounds in a 410ga. shotgun.